A new partnership between the University of Southampton and INTECH Science Centre and Planetarium will provide unlimited free entry to INTECH for schoolchildren in Southampton on an organised school trip. Working with INTECH and Southampton City Council, the University has agreed to fund the admission charges previously supported by Southampton City Council, to enable children (and their teachers) from Southampton’s schools to continue to enjoy the experience provided by INTECH. 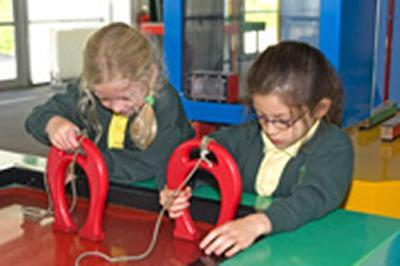 Last academic year (01 September 2010 – 01 August 2011) there were over 3,000 school visitors from 40 different schools. INTECH’s total school visitor numbers continue to grow, with a record number of 30,646 being achieved last year. Over the next five years, the University will provide financial support for Southampton school visits to INTECH through its Student Centeredness Fund. In turn, INTECH will provide an area in which the University will promote its research excellence through a range of activities, as a source of inspiration in the science, technology, engineering and maths (STEM) subjects. INTECH will also provide its facilities for activities organised by the University.